Olymbec owns and manages a diverse portfolio of industrial, office, retail, and residential properties located throughout Canada and the United States. 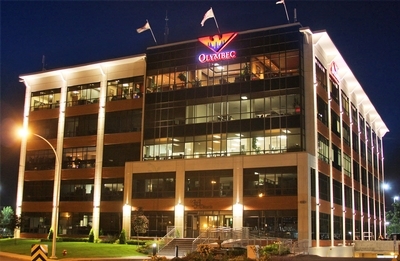 Headquartered in Montréal, Olymbec is now one of the largest private industrial real estate holders in Eastern Canada with branch offices located in key markets across Québec and the United States including; Trois-Rivières, Sherbrooke, Québec City, Dallas, Columbus, Atlanta, Las Vegas, St. Louis, Memphis, Hartford, Indianapolis, Philadelphia and West Virginia. The key to Olymbec’s rapid growth has been our strategy of acquiring and repositioning vacant properties and marketing to a new client base. While our growth has been extraordinary, the basic principles of our strategy have changed little since our launch in 1975. We seek out undervalued properties and thoroughly assess the risks and rewards related with each venture. We look aggressively for “diamond in the rough” properties that have challenges that undermine their charm to others. Our extensive track record in acquiring value-added properties have contributed to our reputation as being able to close transactions in a very short time frame. As a company impressive in size and scope, we pride ourselves in our ability to respond rapidly to a wide range of both small and large space users. We offer quality leasehold construction, efficiently executed to meet tenants’ requirements, at some of the lowest rental rates in its markets. Being a full service, vertically integrated RBQ licensed real estate company, we handle all aspects of our operation internally including; legal affairs, property & leasehold construction, property management and property maintenance.